Our Winter 2019 "Nova Scotia Pride" Puppies have arrived!!! 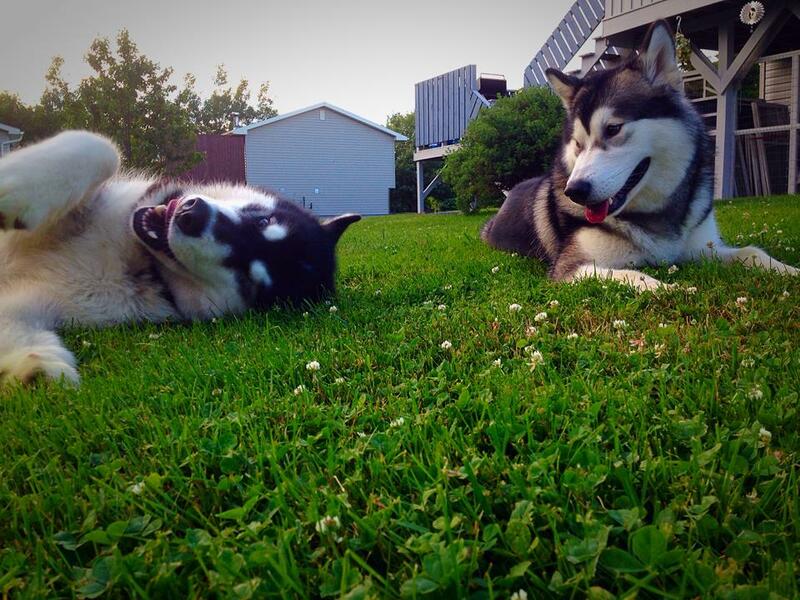 Check our their page under the puppies tab! 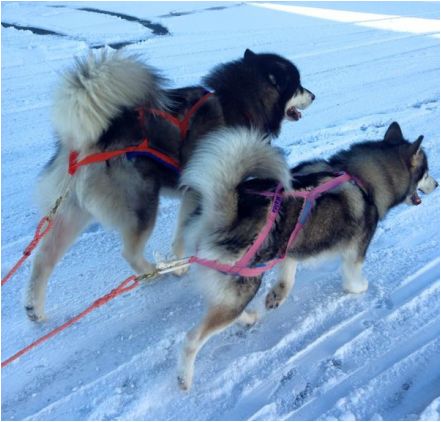 Welcome to the online home of NovaMal Alaskan Malamutes. 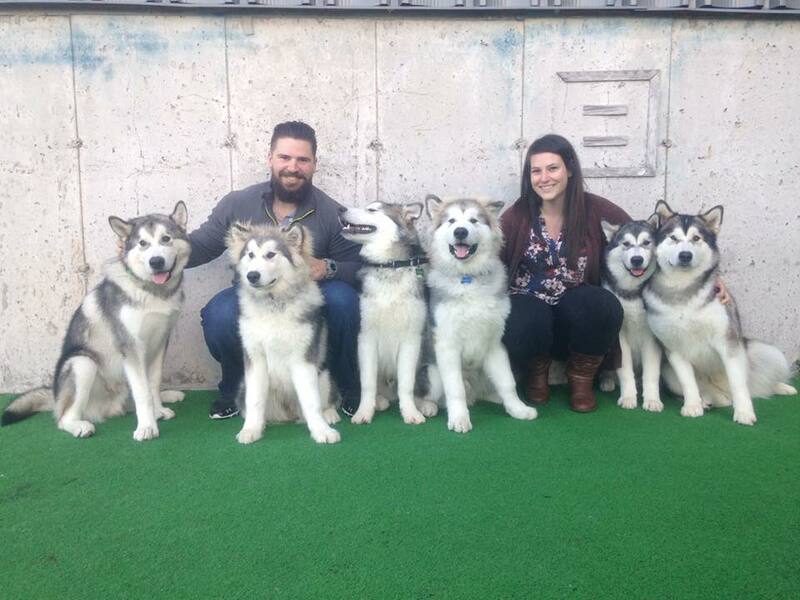 We are Lynsay and Evan Bayers and we share our lives with the magnificent Alaskan Malamute. We are located along the beautiful Atlantic Ocean in Lawrencetown, Nova Scotia. 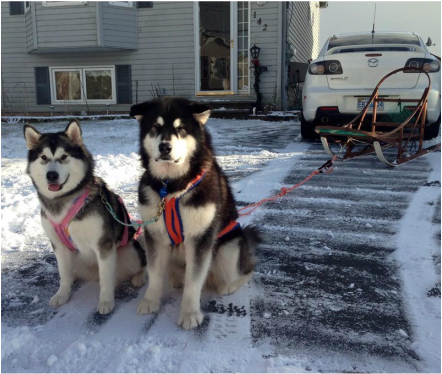 We actively show and work our dogs whenever possible but above all else they are our family. 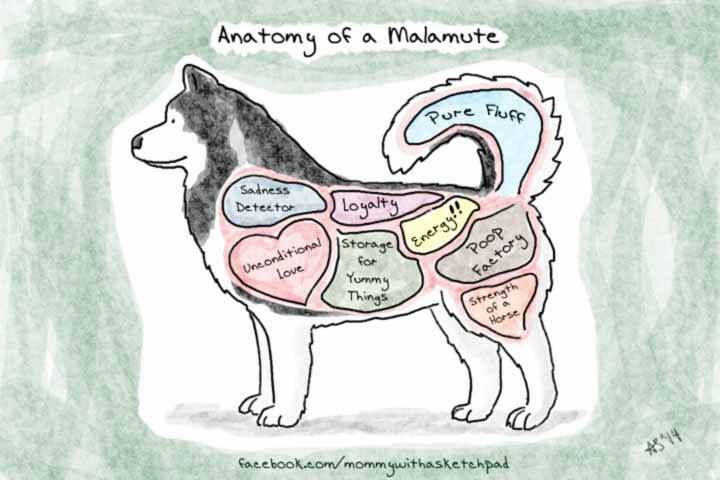 Our Malamutes are raised in our home with us. 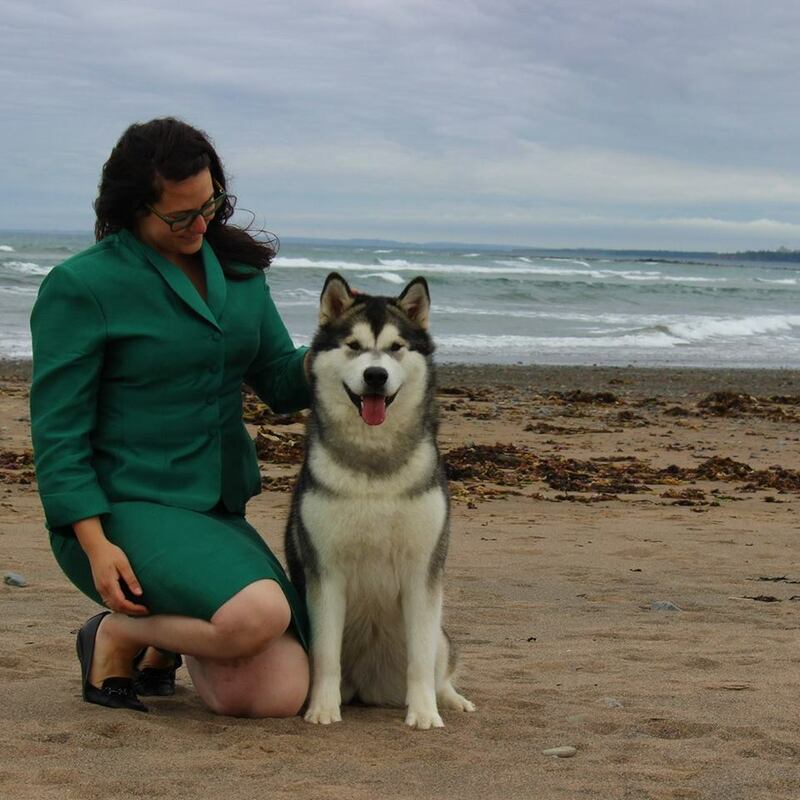 We do health tests and genetic screening for hips, elbows, knees, eyes, polyneuropathy, coat length, cardiac and autoimmune thyroiditis among others on all of our breeding dogs.. Our breeding dogs all have their Canadian CH or are pointed to receive it. We encourage all potential puppy buyers to come meet us and our dogs and ask LOTS of questions! "A lot of people are naturally drawn to our stunning looks but we are so much more than just a pretty face. We are athletes, magicians, acrobats, opera singers, demolition experts and the joyfully remorseless slayers of small furry animals, frogs and birdies. We will trash your garden, empty your bank account and steal your heart." - Unknown.